BERNARDINI (USA) (Bay 2003-Stud 2007). 6 wins from 1m to 1¼m, Pimlico Preakness S., Gr.1. Leading NZ Sire of 2YOs 2012-13. Sire of 969 rnrs, 575 wnrs, 54 SW, inc. Cavorting (Saratoga Test S., Gr.1), Ruud Awakening, Boban, To Honor and Serve, Alpha, Stay Thirsty, Dame Dorothy, Angela Renee, Go Indy Go, Greenpointcrusader, Rachel's Valentina, A.Z. Warrior, Biondetti, Le Bernardin, Toydini, Lewis Bay, Zanbagh, Imperative, Gamilati, Wilburn, etc. Liturgy (f. by Authorized). Winner at 1500m in 2016-17 in Aust. ALTAR (Commands). Winner at 2, A$375,900, ATC Magic Night S., Gr.2, 2d ATC Darby Munro S., L, VRC MSS Security Sprint H., L, 3d SAJC Goodwood H., Gr.1, VRC Thoroughbred Breeders S., Gr.3, 4th ATC Light Fingers S., Gr.2, MRC Caulfield Sprint H., Gr.2, ATC Birthday Card S., Gr.3, Fireball H., L.
Forty Days. 4 wins-1 at 2-from 1200m to 1600m, A$156,777, STC QBE Workers Compensation 2YO H., Staffing Solutions H., 2d AJC Shaftesbury Avenue H., 3d AJC Royalrandwick.com H., MRC Betfair H.
Veneration. 3 wins at 1350m, 1400m, WATC Ozbet.com.au H., 2d AJC National Jockey Club Celebration H., WATC Star Shot H., 3d AJC Not Lawyers H., TAB Power Pays H., Neutral Bay H., WATC Become a Racing Member H., Perth Racing TV H.
I Am Impressed. 2 wins-1 at 2-at 1200m, 1250m, A$93,470, to 2016-17, ATC Theraces.com.au 2YO P., 2d ATC Tab.com.au H., 3d ATC De Bortoli Wines H., TAB Place Multi H.
I'll Decide. Winner at 1050m in 2016-17, SAJC Schweppes P., 2d MRC Cove Hotel H.
Isolation. 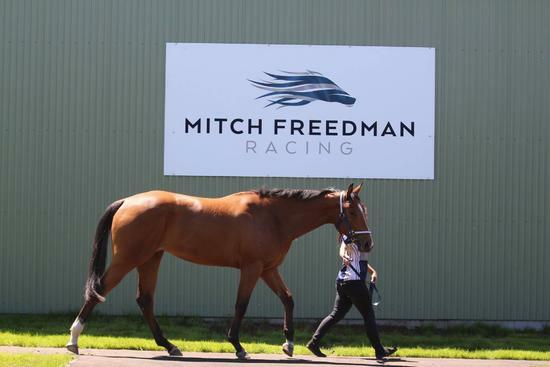 Winner at 2, 3d MRC Swettenham Stud Dash For Cash H.
Expel. 4 wins to 1000m to 2015-16 in Aust. HOLY ROLLER (Sanction). 12 wins-1 at 2-from 1200m to 1600m, A$320,865, MVRC Waterford Crystal Mile H., Gr.2, AJC Bill Ritchie H., L, Galilee Flying Welter H., Flying Knight Welter H., STC Global Baguette Welter H., AJC Time & Tide H., STC Ubetido H., Myocard H., 2d STC Ajax S., Gr.3, Gardenia Welter H.
Benison. 4 wins at 1600m, A$93,500, AJC Autism Association of NSW P., Sadlier H., Bankstown Recreational Club H., 2d AJC Dunfermline H., Do It at Diggers' H., Bowlers Club H., De Bortoli Wines H.
Braces. 4 wins-3 at 2-to 1500m, A$102,160, Qld Tatt's RC WD Ross 2YO H., STC Sans Souci 2YO H., Mersey H., 3d VRC Churchill Downs H., VATC Kodak Gold Film H., AJC Smirnoff Vodka H., STC Panania Memorial Womens Bowling Club H., Parramatta Leagues Club H., Captain Cook H.